whaaaaaaaaaaa.....? I need a moment to process this info. I saw her say that on telly, thought it was really deceptive. The whole point of her act was that she had trained Matisse to do the trick - you don't get an act through to the finals and then roll out a bloody doppelganger, FFS?! Imagine if there had been a whole set of doubles for the Old Men dance act!! I didn't see all of BGT, but did see the semi final where there were two dogs in the act. So it wasnt a suprise to people that she has several trained dogs (wasnt there also a lassie type dog in the final). The choice of name for the act might therefore be a bit incorrect, but I don't think there was any deliberate attempt to trick people. This is the first I've heard of this and I'm really disappointed and feel let down. If the dog couldn't do it, don't include the trick or make it a little easier so he doesn't get as scared, don't sneak in a double and not bother mentioning it until after. I liked the dog act but I was disappointed when I found out they won.. and now I'm even more annoyed that the dog walking the ropes wasn't the original dog, that's definitely cheating in my books! I wish another act won because at least it would have been an act that was both good and honest! 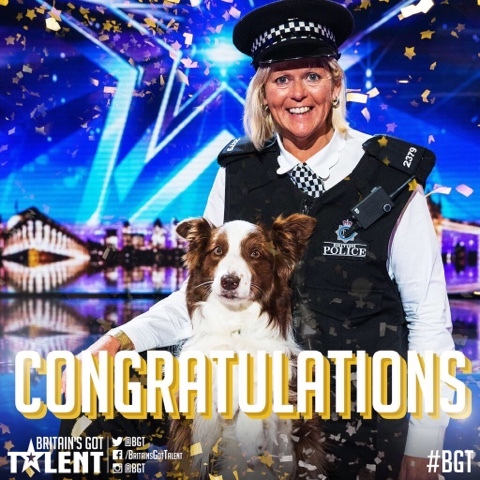 i'm v.late to the party but I don't have an issue with this act winning at all, it's Jules' training skills which have taught all those dogs so surely it's her who we are praising just as much as the dogs? !